Government must ensure that corrective action is taken to reverse the situation where the people of South Africa's land was unceremoniously taken from them and their dignity violated, Baleka Mbete, Speaker of the National Assembly, said on Thursday. 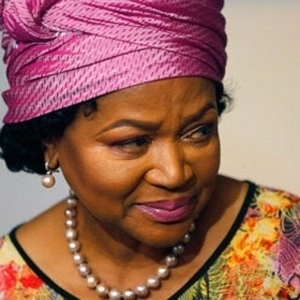 She was the guest of honour at a pre-SONA special luncheon hosted by the Sekunjalo Group at the Mount Nelson Hotel in Cape Town. The taking of land was a major contributor to "socio-economic ravages", she said, which also impacted "our ability to actually enjoy the kind of dignity we should have been having all this time." "We believe that when we talk about the land reform programme, it is not something for which we must apologise. "We must do it because it is the correct thing to do. The very economy needs us to have the land." She added that it was, however, not just about grabbing land and displacing people, as some in Parliament were advocating. "We are not encouraging that. It has to be done legally and under particular circumstances. It requires us to make it very clear that we are able to give land back to our people as state-owned land lying fallow, and nothing of substance is happening there," she said. "It must be clear that there are conditions under which we can clearly and happily and legally take decisions and give land back to our people, but we must also assist our people to be able to utilise that land adequately. It is not just about getting land and you do not have the skills or resources to do work productively on that land." Mbete further said government was proud of the work done by the Zondo Commission, and whoever is exposed in the process must have steps taken against them. "We are not proud (of what happened) but we welcome the commission, as it is the only way to cleanse ourselves as a people, as a society and as a democracy which is continuously developing," she said. "We need to conduct an audit to see what mechanisms we have in our organisations to assist politicians to resist temptation. We cannot have a situation where those who are supposed to serve the people are not being good examples." Lastly, Mbete said Parliament needed more space to operate properly, instead of using hotel rooms for some committee meetings. "Those with money in their pockets must come and talk about building a Parliament for a truly liberated SA where we will all be able to do what we are supposed to do. "We identified a piece of land at the corner of Roeland Street that could be suitable," she said. "When Trevor Manuel was minister of finance he said there was no money for that, but I am saying we need a new Parliament. I know Capetonians do not support us moving Parliament to Pretoria." She also referred to President Cyril Ramaphosa’s State of the Nation Address (SONA) on Thursday, saying it would be scaled down, with another coming after the elections.